Nicklaus said: "This is a man who is possessed. He's possessed to win a golf tournament. He's absolutely under total control and he's going to get it done. And he did. "I felt for a long time he was going to win again. And, you know, the next two majors are at Bethpage, where he's won and Pebble Beach, where he's won. So, you know, he's got me shaking in my boots, guys." Woods' long-time American rival Phil Mickelson also posted praise on his Twitter account, describing it as "a great moment for the game of golf." 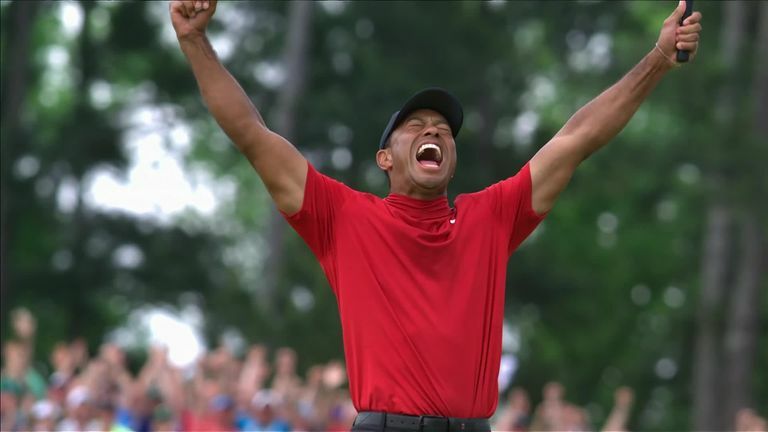 Woods' former coach Butch Harmon, who guided him to three wins at The Masters, was working as a pundit for Sky Sports and said this week's win was the best of his career, saying: "I think it's the greatest win Tiger has ever had in any championship - and he's had a lot of them!" The best day of Woods' career? 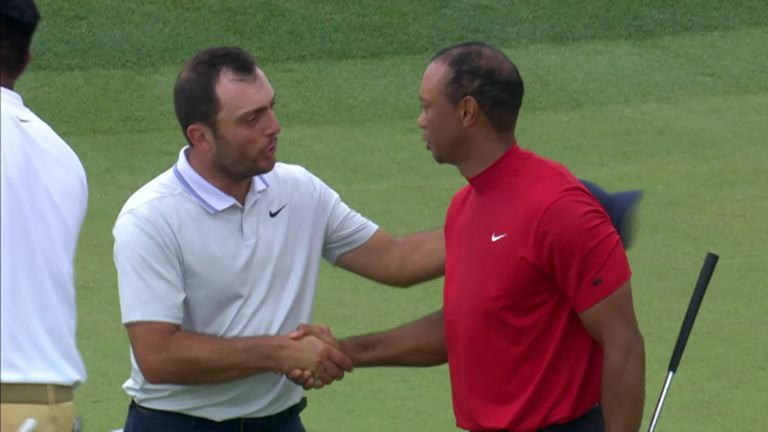 Francesco Molinari had led the tournament going into the final day, but despite his disappointment after finishing two shots behind his final-day playing partner he said: "He obviously knows how to win this tournament. To come back from where he was a few years ago is brilliant to see for golf in general. For all of us out on Tour it's nice to have him back." The plaudits also poured in from the wider sporting world, led by tennis legend Serena Williams, who described her emotions watching the "inspirational" final round. NBA star Stephen Curry described the occasion as "the greatest comeback in sport" while NFL legend Tom Brady compared his six Super Bowl wins to Woods' 15 major victories. Former England captain Wayne Rooney was at Augusta to witness Woods' historic triumph and was one of many British sports stars to hail the achievement. I’ve just watched one of the biggest inspirational performances......golf is back !! US President Donald Trump tweeted about his "friend" Woods during the back nine on Sunday and after victory was sealed, he wrote: "Congratulations to Tiger Woods, a truly great champion." Trump's predecessor Barack Obama was also quick to post on social media, writing of Woods' "excellence, grit, and determination". And after completing his media duties, the Masters champion himself took to social media to thank his supporters and tell them: "This jacket sure is comfortable."